It started simply as a desire to branch out all on my own. With a young baby at the time (and my old employer not allowing me to go part time) I decided I was going to try to work for myself and started out as a VA. At the time, social media didn’t exist but as it came onto the scene I realised the potential of Twitter immediately. I started using it a lot, experimenting with it and saw fast results. And as I was using it promote my own business, I realised the huge potential that these social channels had for businesses – so, I started offering it as a service to small businesses that wanted to raise their own brand awareness and drive traffic to their websites. I’m all about the content. I think that’s what helps brands stand out on social media: quality content delivered consistently and a strong engagement strategy. I love seeing all the different ways businesses and brands are using content to attract their audiences and get them to engage. Last year, it was all about video and live streaming; this year, video continues to be at the forefront, but I think we’ll see more artificial intelligence and augmented reality influences in social media content this year.. The women! There are so many amazing women entrepreneurs right now that are paving the way – I couldn’t just mention a few. But I would like to take this opportunity to point out that women entrepreneurs do still seem like a minority, at least here in the UK. I think we can do so much better than that as a society and I’m so excited to see what the near future will bring! Lately, I’ve been on a Grant Cardone kick, reading his books religiously and listening to his podcasts. If you’re an entrepreneur or you work in sales – definitely check him out, he knows exactly what he’s talking about. I’m mostly active online, but I do get the opportunity to speak at a lot of events around the world, especially at industry conferences and trade shows. I also attend the odd conference and belong to a couple of mastermind groups. I think we should expect a lot of developments this year across the board, in social media, content marketing, influencer marketing and all the different digital marketing niches. Technology will be affecting many of these changes – especially artificial intelligence and augmented reality. Although this technology has existed for some time now, it’s growing and just starting to affect the world around us. We’ll probably some amazing AI digital marketing tools, but also some exciting new features on the worlds’ most popular social networks. I love working with brands to help them promote themselves and their products and find new ways to help them grow and especially reach their target audience. And I know from years of experience in this industry that the best way to do so is through content. 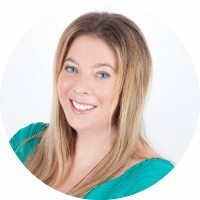 I collaborate with brands a lot on content like webinars, blogs, whitepapers, online courses, and so on, particularly on crafting the type of content that their audience wants and needs and helping them grow awareness and drive sales of their brand.